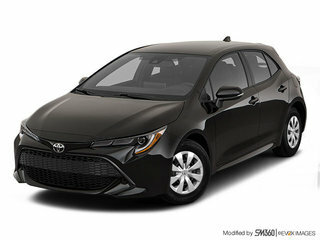 The new 2019 Toyota Corolla hatchback, for sale in Montreal at Spinelli Toyota in Lachine, offers exhilarating driving, excellent fuel efficient eco performance and the convenience of a hatchback. 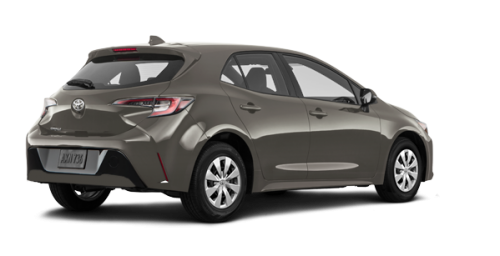 Test it today at your Toyota dealership near Ville St. Laurent and the South Shore and enjoy an exceptional driving experience! 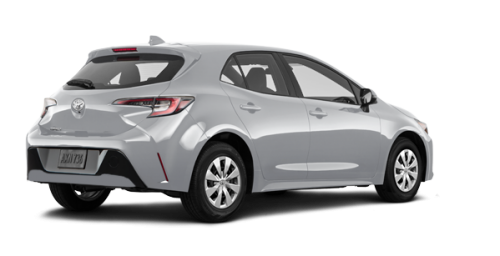 The new Corolla hatchback, near Laval, is powered by a 2.0-litre engine that develops 168 horsepower and can be paired with a 6-speed intelligent manual transmission or with the new CVT Direct Shift transmission. With the latter, the 2019 Toyota Corolla hatchback consumes a low 7.5 L/100 km in the city and a meagre 5.8 L/100 km on the highway. 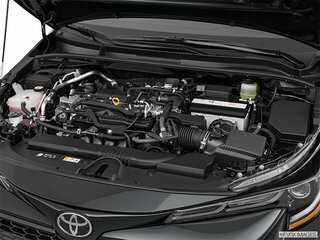 As you can see, it is possible to enjoy an interesting power train while consuming little fuel! Built from Toyota’s new global architecture and offering an expanded track, a low centre of gravity, shortened cantilevers, the 2019 Toyota Corolla hatchback, for sale in Montreal, near Châteauguay, stands out for its dynamic road handling. Its ultra-rigid body, multi-link rear suspension and active cornering control ensure outstanding stability. 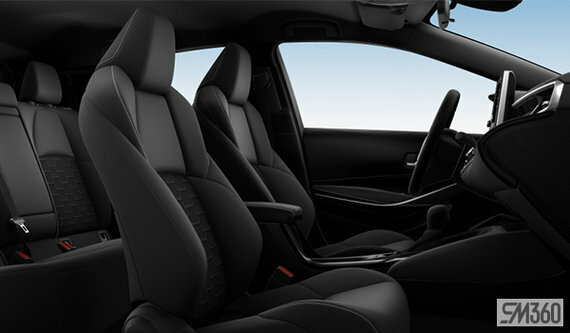 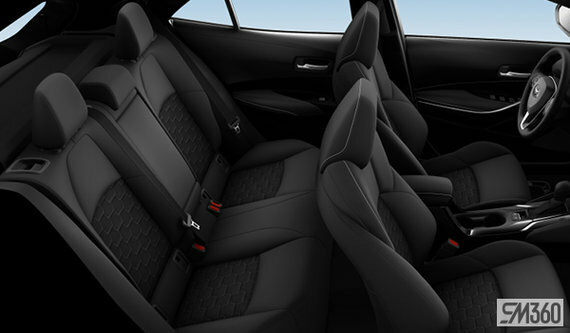 The interior of the 2019 Toyota Corolla hatchback, for sale in Montreal, is particularly quiet, thanks to superior soundproofing materials to insulate the interior from wind, road and engine noise. 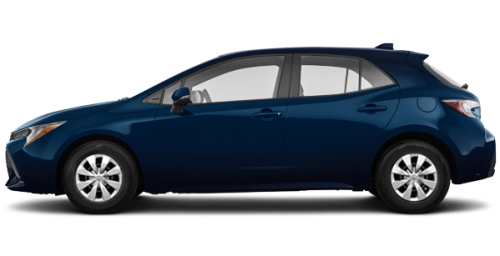 The new power train’s rigid mounts also dampen the noise and stabilizing fins on the taillights reduce the buzzing wind. 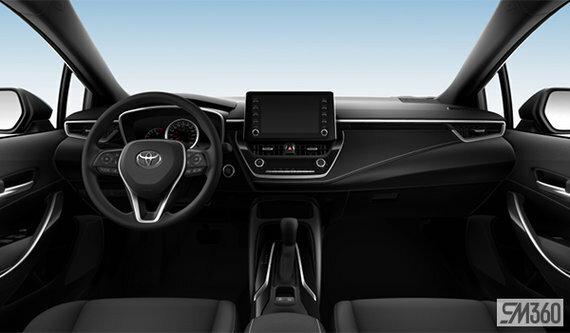 At the wheel of your 2019 Corolla hatchback you’ll enjoy listening to your music on its 6-speaker audio system with Bluetooth connectivity, Apple CarPlay, Entune 3.0 and steering wheel controls. 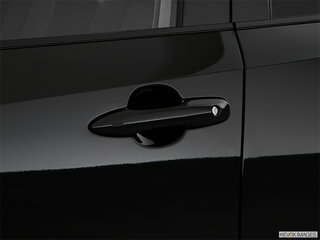 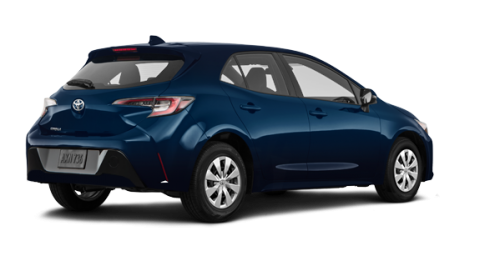 The 2019 Toyota Corolla hatchback, for sale in Montreal, can be equipped with optional Qi wireless charging. Moreover, the new Corolla hatchback near Laval is standard equipped with the Toyota Safety Sense 2.0 suite, which includes the pre-collision alert system with the detection of cyclists and pedestrians, the dynamic radar speed controller and road handling assistance, to name only those. 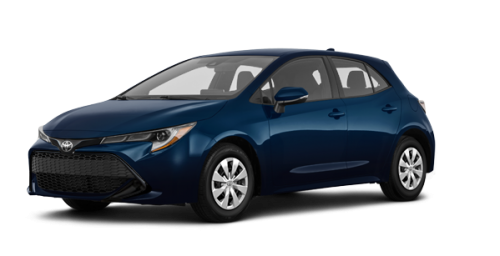 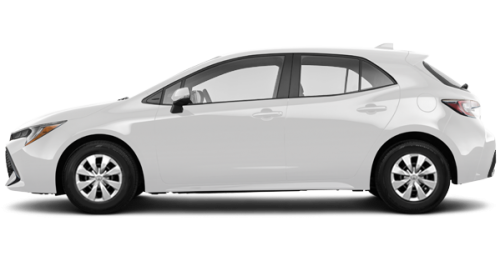 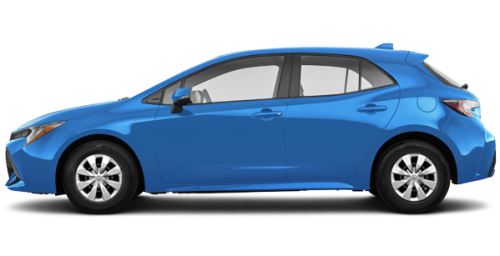 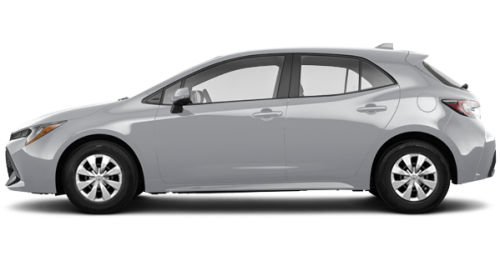 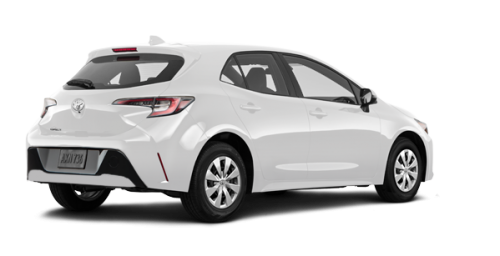 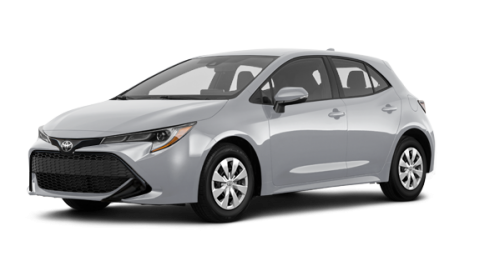 In addition to the new 2019 Corolla hatchback, Spinelli Toyota near Ville St. Laurent offers the full line-up of Toyota vehicles, including the 2019 Corolla and several used Corolla models. Take advantage of our Toyota promotions and the flexibility of our Toyota financing plans!